Before the Mid-Autumn Festival 2011 is coming, the Domestic Sales Department of Shanghai Shibang Machinery united the VIP Department carried out an intensive visiting activity for the important clients, who is in the surrounding of our Shanghai Headquarters. 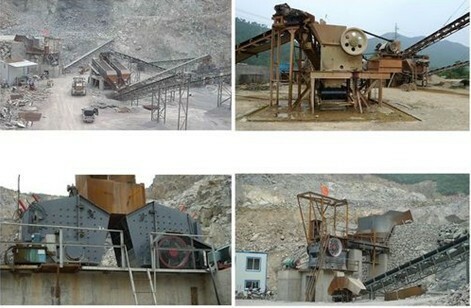 In the whole process, they totally visited 7 major clients of gravel and mill one after another. In the meantime, they not only sent these the regular clients Mid-Autumn blessings, but also exchanged the outlook of company's equipment service and industry foreground in-depth with the partners. Manager He, who is in Minhang of Shanghai and Manager Chen,who is in Chongming of Shanghai, is the first destination of this Mid-Autumn visit of SBM. This group consists of the staff of the Domestic Sales Department and the VIP Department, which is leaded by Manager Du, who is come from the Domestic Sales Department. The group leaded by Manager Du firstly gave the two clients deeply gratefulness for the long term supporting to our company, and represented our company to convey the best wishes to the two important clients. Meanwhile, our visiting group also looked around their production sites and exchanged the viewpoints which involved the foreground of dry powder and mortar industry and requirements to the performance of the machines. The all things we have done was to construct an excellent platform for understanding and serving the wide market. Introduced by the Manager Yang, who now working in the Domestic Sales Department, the clients who usually looking around the production sites of Manager He and Manager Chen is more and more. So, the maintenance of well combination and communication between merchants and clients is very important for the both sides of us. Convenience of one city is an excellent chance to promote the win-win success, and carefulness and timely service is even the strong foundation of this win-win relationship and friendship. On 7, September, five of our employers who come from the Domestic Sales Department of Mill, payed a visit to the Manager Liang who is working in the Baoshan of Shanghai. Manager Liang is a heavyweight of the Mill Department and has already purchased our production several times. His mill production site is also a popular destination which the other clients always looking around. The purpose of this visit is really to thank our clients for the long-standing substantial support to our company. On 9,September, the visiting group of the Domestic Sales Department of Mill, which leaded by Manager Li, was hurrying to Zhejiang to pay a further visit to our clients. Although the weather was not very well and light rain was always falling, the Mill Department also made an excellent and scheduled visit to Boss Sun, who is now working in Changxing. The all things we done gave Boss Sun a pleasant surprise. As a senior prototype of micronizer, Boss Sun not only highly praised our company's production, and also made a well cooperation with our company to supply the potential clients from overseas chances of looking around the production site. During the visit, the clients also consulted Manager Li a number of technical questions and all have gained the professional solutions. The Department of Mill ended this excellent visit in a relaxed and pleasant atmosphere. From 9, September to 11 September, the group consists of four employees, who came from the Domestic Sales Department of dinas and the VIP Department, was leaded by Manager Zhang, went to Zhejiang to pay a visit for three important senior prototypes of dinas within three days. Meanwhile, this visit group also conveyed the Mid-Autumn blessings of our company and understood the useing situation of our machines. The first destination of this visit for dinas' clients of Zhejiang is Manager Wu,who is now working in Xiangshan. Manager Wu has already purchased the equipments of SBM many times and always speak highly of our company's production equipments. The professional site planning of Manager Wu also gained the sincere admiration of our colleagues. It is said that the local government and the people who is of the same trade have been visiting his company and studying his experience many times. After conveying the Festival Greetings and exchanging the useing situation of the machines, this visiting group came to Linhai, Zhejiang to pay a visit for Manager Chen. Coincided with the time that Manager Chen's production machines was running, we taken the fresh video of the production process in time. The all will be kept as the precious data of clients and Shibang Machinery. The third visiting destination was Shaoxing's Manager Song. Although very busy, Manager Song also specially took some time off to make a thorough conversation with Manager Zhang. During the talking process,they exchanged the different opinions of the machines' performance and useing situation. Creating value for clients and giving careful, sincere service for clients is always the confirmed service concept of Shanghai Shibang Machinery. Festival blessing is not only a simple greeting for clients in traditional festivals, the most important aspect is that Shibang Machinery hopes through the practicing of those tiny things to make lightsome communications with cooperative partners, in order to promote the win-win success.